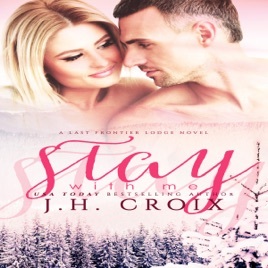 A full-length, stand-alone romance with a guaranteed HEA from USA Today best-selling author J.H. Croix! If you like smoking hot romance with alpha men and sassy women, you'll love this series! Sometimes what we run from leads us exactly where we need to be. Jessa Hamilton has nowhere else to go. So she's packed up her little blue truck and driven to Alaska, seeking refuge at Last Frontier Lodge, where at least she has family on which she can count. A fender bender lands her in the path of Eli Brooks, a man of pure, well, manliness. Rugged and handsome with a smile that sends sparks flying through her, Jessa has no idea what to do with the way Eli makes her feel. Eli has plenty on his mind, and none of it has anything to do with meeting a woman who makes him reconsider his commitment to avoiding romance. A painful past led Eli to seek peace in the land he loves - the wilderness of Alaska. Eli is a classic Alaskan - he breathes hunting and fishing. Jessa is unlike any woman he's ever encountered - quirky, beautiful, independent, and...a vegetarian. While Jessa tries to put the pieces of her life together, a surprise from the past forces Eli to question just how much running from the past has gotten him. As they each grapple with their own ghosts, passion burns like wildfire between them. *All novels in this series are full-length, stand-alone novels with an HEA.